As you have testified concerning Me at Jerusalem, so you must testify also at Rome (Acts 23:11). Paul had recently written the Epistle to the Romans, explaining to them his desire to visit Rome (Rom 15:23-29). Now the Lord Jesus assures Paul that he will do so. 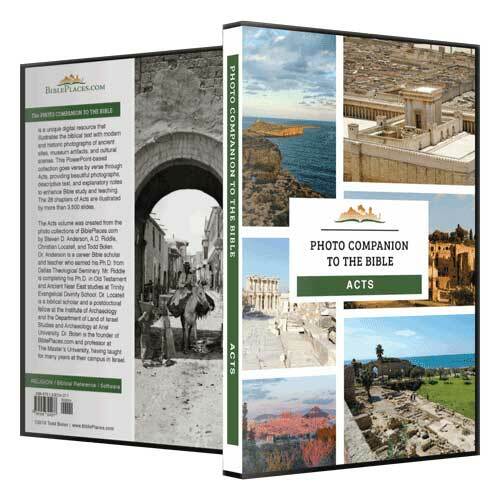 According to Luke’s description in the following chapters, it will be more than two years before Paul arrives in Rome. 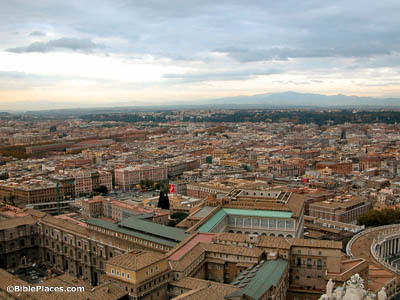 This photograph shows a view of the modern city from a viewing area in the dome of St. Peter’s Basilica. The Jews conspired and put themselves under a curse to neither eat or drink until they killed Paul (Acts 23:12). 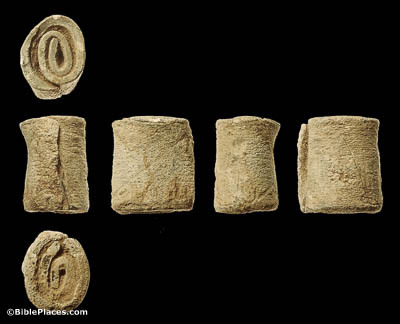 Curse tablets were often used in the Roman world. They were typically very thin sheets of lead inscribed with tiny letters that called upon the gods to act. It is not clear by what method Paul’s enemies placed themselves under a curse, but it could have involved recording their pact on such a tablet. The particular example shown here is still rolled up in its original shape, and thus its text is unknown. This image comes from Frank Basford with The Portable Antiquities Scheme, via Wikimedia Commons. Bring this young man to the commander (Acts 23:17). The age of Paul’s nephew is not clear. The Greek word used here can sometimes refer to an unmarried man beyond the age of puberty, perhaps in his 20s or 30s. On the other hand, the young man who fell from the window at Troas in Acts 20 is referred to using the same word, while also being described as a pre-pubescent youth. 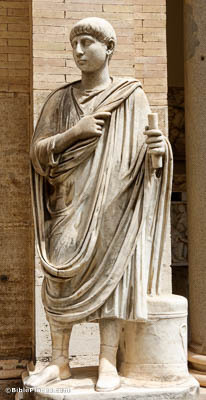 Still, Paul’s nephew was likely in his teens or twenties, like the young man represented by this statue. So the soldiers, in accordance with their orders, took Paul and brought him by night to Antipatris (Acts 23:31). Antipatris was an important site in the days of Herod, sitting at the strategic junction on the International Highway. Known in the Old Testament period as Aphek, the city lies at the headwaters of the Yarkon River, which interferes with traffic on the coast and forces the International Coastal Highway through a narrow funnel between the river and the mountains. The site was rebuilt and renamed by Herod the Great after his father Antipater. And he gave orders for him to be kept in Herod’s palace (Acts 23:35). 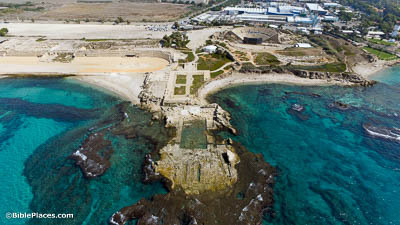 Built by Herod the Great, the promontory palace was situated on a beautiful point jutting out into the Mediterranean Sea. The Lower Palace can be seen in the foreground, with its large swimming pool in the center. Paul was likely held prisoner in the Upper Palace, the area that surrounds the central courtyard with the (modern) grassy squares. 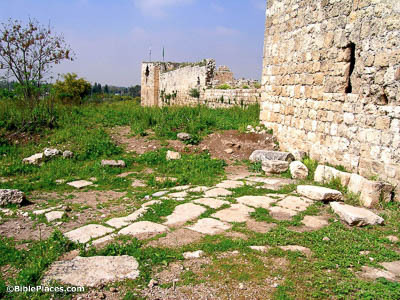 While under arrest here, Paul had opportunity to testify before governors and a king (Acts 24–26).